Galvin Humphries knows what commitment to service is all about. Whether it's selling Lake of Ozarks condos or bringing honor to his family and his country, he is a well rounded and service oriented man. When you put one Union Soldier and one Rough Rider together with three generations of Marines, you’ll get to the foundation of Galvin’s family legacy. For Galvin, having a great-great grandfather who fought in the Civil War and a grandfather who rode with Teddy Roosevelt are points of honor and pride. When Galvin wants to relax, he usually does so by sharing a view of The Lake with his friends. But after becoming a Marine, like his father, he then watched his own son go off to war. It was then Galvin truly understood what serving others meant. And it symbolizes the core of his legacy back then, and now at The Lake of the Ozarks. He puts his clients first as he helps them buy and sell Lake of Ozarks condos, cabins, and real estate. Once Galvin left the Marine Corps, his disciplined approach to life helped him become a prosperous entrepreneur, helping people find Lake of Ozarks condos, cabins, and real estate. From operating his own flooring company to raising cattle on his farms, this businessman understands what it means to go the extra mile to provide excellent service to his clients. No matter what industry he specialized in, Galvin always made sure his clients knew they were his top priority. Helping people purchase and sell Lake of Ozarks condos, cabins, and real estate is something he is well prepared to do and he handles it with the utmost care for his clients at all times. Even the savviest businessmen enjoy a little free time now and then, and Galvin is no exception. He enjoys the amenities of The Lake whenever he can. Whether he’s jogging in the Ozark hills or boating along the endless shoreline, he’s always rejuvenated and inspired. “This is the most beautiful place to live,” he says. “I can’t imagine a better place to gather with family and friends.” Finding the perfect Lake of Ozarks condos, cabins, and real estate is his passion that he loves sharing with others. For Galvin, helping clients achieve their dreams of buying or selling Lake of Ozarks condos, cabins, and real estate is his top priority. Galvin’s legacy of serving others is fully seen in his Lake of Ozarks condos and real estate career. He takes extra time to get to know his clients and their dreams because he sincerely cares about their future and helping them buy or sell the best Lake of Ozarks condos, cabins, and real estate. By specializing in property at The Lake, he’s able to focus on this competitive market and provide the information they need to get the right Lake of Ozarks condos, cabins, and real estate. Because Galvin’s expertise includes the entire Lake of the Ozarks area, he takes his clients’ individual property goals and delivers successful results every time. As a native of Missouri and lakefront resident, he understands what you’re looking for in this idyllic setting. Many of you are searching for that perfect getaway at Lake of Ozarks condos or second home where you can create lasting memories, as well as your own legacy. That’s why Galvin provides all the pertinent market information and listings of available Lake of Ozarks condos and properties. If you’re out of state, Galvin will conduct thorough research and even do a walk-through with you by phone of the Lake of Ozarks condos, cabins, and real estate. You are always his top priority. For clients looking to sell existing Lake of Ozarks condos, homes, or lots at The Lake, make sure you take advantage of Galvin’s marketing and negotiating expertise. He believes that you deserve the best return on your investment, which is why he showcases your property in its best light for qualified buyers and keeps you up to date on every development. It’s the mark of a truly committed Lake of Ozarks condos and real estate professional. It’s the legacy of Galvin Humphries. When you’re in the market to buy or sell an existing property at The Lake or get in on the best Lake of Ozarks condos, cabins, and real estate, make sure you have an agent whose experience will fuel your success. 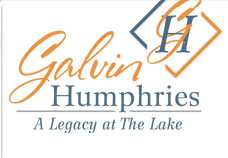 Galvin Humphries is A Legacy at The Lake who won’t stop until he has exceeded your expectations. Call him today.